We live in an age of skepticism about the idea of truth. Contemporary skeptics question the nature and value of truth and the concomitant virtue of truthfulness. Skepticism about truth is not restricted to popular culture. It occurs within the academic world, where deflationists have argued that the idea of truth is not a substantive notion and some poststructuralists have portrayed it as primarily the scene of struggles for power. Such skepticism is surprising, for truth and truthfulness have been central to Western civilization and the academic enterprise. 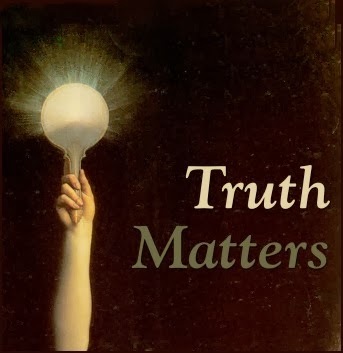 Given both contemporary skepticism and the centrality of truth, we believe it is time to reconceptualize truth and to reclaim truthfulness for the academic enterprise. The conference organizers have undertaken an interdisciplinary philosophical effort to develop a new model of truth. Now we wish to expand the scope of our work by engaging with discussion partners from other schools and from across the disciplines. The Truth Matters conference will be an occasion for international dialogue and debate. Truth Matters continues a series of conferences on issues of faith and scholarship organized by four schools in the Reformed tradition. It is hosted by the Institute for Christian Studies, a graduate school for interdisciplinary philosophy in Toronto, and co-sponsored by Calvin College (Grand Rapids, MI), Dordt College (Sioux Center, IA), and the Free University (Amsterdam). This conference is supported by a generous grant from the Priscilla and Stanford Reid Trust. Gerrit Glas, philosopher and psychiatrist, studied medicine at the University of Amsterdam and philosophy at the VU University Amsterdam. After finishing his residency training in psychiatry he wrote a dissertation on concepts of anxiety and anxiety disorders. He is currently professor of Christian philosophy at the VU University Amsterdam (Dooyeweerd chair) and professor of philosophical aspects of psychiatry at the University of Leiden. He is also a practicing psychiatrist and director of residency training at Dimence Institute for Mental Health Care in Zwolle, The Netherlands. He is chairman of the Dutch platform for Psychiatry and Philosophy, chairman of the Dutch Foundation for Psychiatry and Religion, Consultant of the Section on Religion, Spirituality, and Psychiatry of the World Psychiatric Association, and an advisory member of Social Sciences Research Council of the Royal Dutch Academy of Sciences. Matt Walhout is a professor of physics and the dean for research and scholarship at Calvin College in Grand Rapids, Michigan. In his laboratory, he uses laser beams to trap krypton atoms and to cool them to temperatures less than one-thousandth of a degree above absolute zero. His most recent work involved the theoretical discovery and experimental characterization of an unusual krypton molecule that is held together by long-range, quantum-mechanical forces. With help from colleagues in various disciplines, he also reads philosophy, keeping his eye most closely on questions related to scientific practices. Lambert Zuidervaart is Professor of Philosophy at ICS, where he holds the Herman Dooyeweerd Chair in Social and Political Philosophy. He is an Associate Member of the Graduate Faculty in the Department of Philosophy at the University of Toronto and a Faculty Associate of the Centre for Ethics at U of T. His primary interests lie in continental philosophy, critical theory, hermeneutics, social philosophy, and philosophy of art, with an emphasis on Kant, Hegel, Marx, Heidegger, Gadamer, Adorno, and Habermas. He is currently conducting research into theories of truth and theories of globalization.